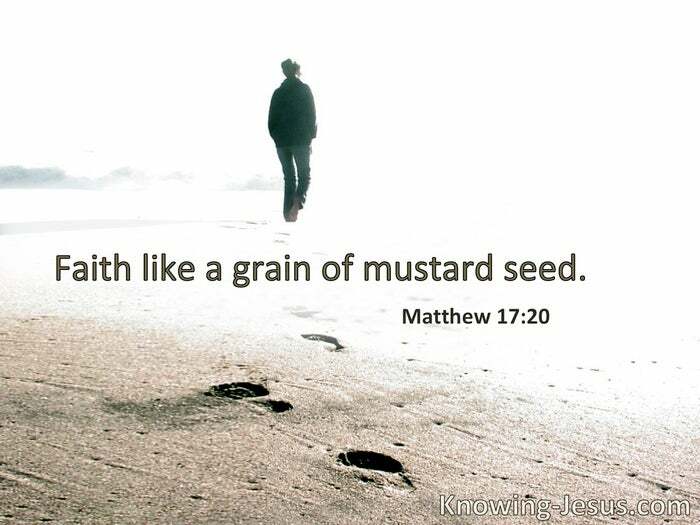 Faith as a mustard seed. Barak said to [Deborah], “If you will go with me, then I will go; but if you will not go with me, I will not go.” … On that day God subdued Jabin king of Canaan. 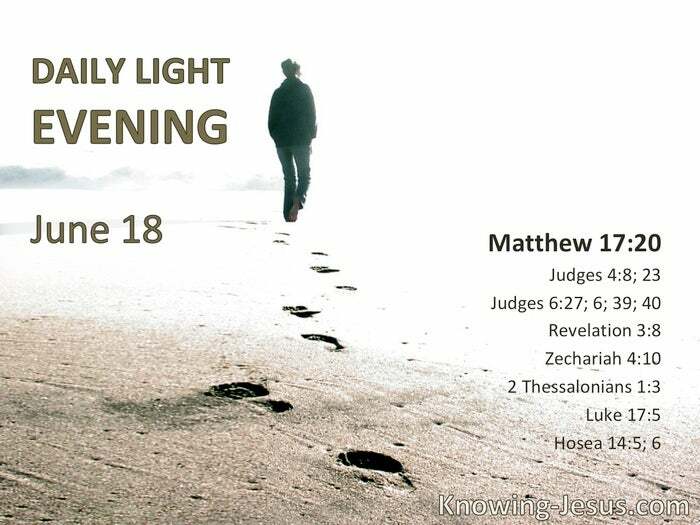 § Gideon … feared his father’s household and the men of the city too much to do it by day, [so] he did it by night … So Gideon said to God, “If You will save Israel by my hand as You have said … Let me test, I pray.” … And God did so. You have a little strength, have kept My word, and have not denied My name. § Who has despised the day of small things? We are bound to thank God always for you, brethren, as it is fitting, because your faith grows exceedingly. § “Increase our faith.” § I will be like the dew to Israel; he shall grow like the lily, and lengthen his roots like Lebanon. His branches shall spread; his beauty shall be like an olive tree, and his fragrance like Lebanon.